I published this feature article in my January 2016 e-Newsletter and think it’s a good fit (<— get it?) to share on this new blog as well! Keep in mind I teach classes in which cross-training or dance shoes are most appropriate. You’ll want to select footwear that is specifically recommended for the activity/activities in which you plan to wear them while doing. 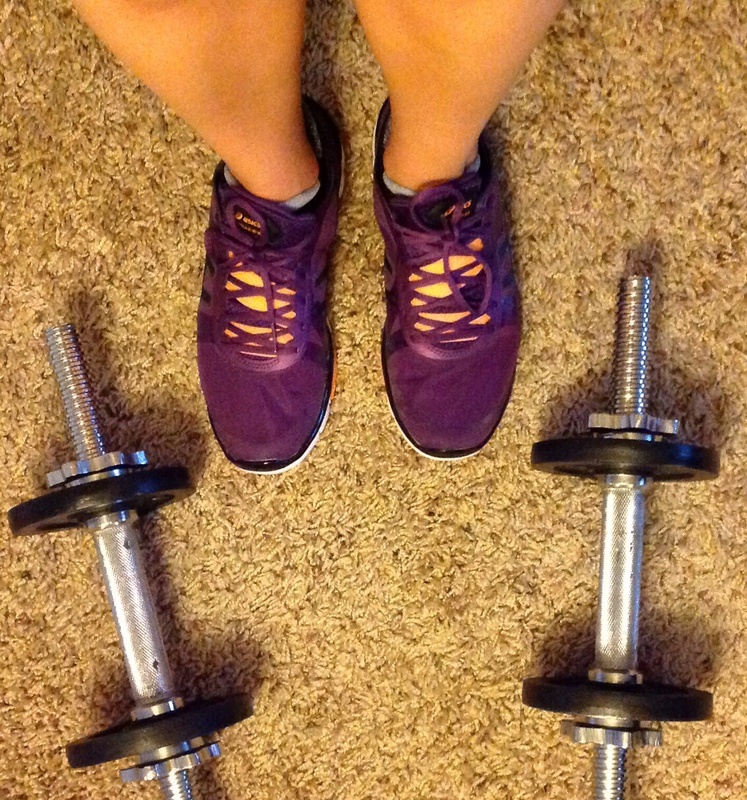 Consider giving yourself the gift of NEW FITNESS SHOES to start out the New Year! How long have you had the fitness shoes you wear to class? If your response is that it’s been too long to remember, it’s probably time to replace them. Generally, if you wear your shoes for workouts 2-3+ times per week, replacing them every 6 months is a good rule of thumb. Why? With regular wear and tear over time, your shoes diminish in their ability to properly support you and do what they are intended to do, which can result in injury. How can I remember when it’s time to change them? If you buy a new pair now to kick off the New Year, you’ll know it’s time when the summer begins! What are the best shoes to wear for our group exercise classes together? You want to think about the appropriate footwear for the specific activities you’ll be doing in them. Therefore, running shoes are not recommended (sorry, I know you wanted me to say that all fitness footwear are created equal so you really only need 1 pair)! Cross-trainers or dance shoes are best. Why? They are designed to support lateral movements, allow you to pivot with ease, cushion and minimize the impact on your joints when jumping, etc. Now, some shoes provide more or less support than others, so it’s important to try on different brands and styles to get the sizing and support right for your feet and your intended activities. But Elena, fitness shoes are sooooo expensive! You’re telling me I should replace them a minimum of twice per year?! Yes, yes I am. Your feet will thank you for it and your body will, too! Would you rather experience potential joint pain or discomfort or an added risk of injury, perhaps taking you out of your workout regimen you’ve built up the stamina for and enjoy? Do you want to risk spending more money on medical expenses in 2016? Didn’t think so. Plus, with the New Year comes SALES in-store and online for most retailers, so take advantage of it! Put aside some of your Christmas gift cash toward this wise purchase and it won’t even come out of your paycheck! Where can I purchase good fitness shoes and how do I know I’m buying the best shoes to support my feet? Personally, I’ve had great experiences at Fleet Feet, located in Midtown Sacramento, with their staff (Note: I promise, I am not receiving any sort of incentive from Fleet Feet to endorse them, and I’m sure there are other local companies out there who provide similar services that I’m about to describe). You meet one-on-one with someone for a brief evaluation (no appointment necessary, but there may be a sign-in sheet if all of the staff members are with other customers and there is a wait). You discuss what you plan to do for exercise, how often, the intensity, etc. They measure each of your feet and ask you to walk across the store as they observe the type of foot you have an how your feet touch the floor. Then, they recommend shoes they have in-store that are best for you for you to try on and test out in the store. I recommend going through this process at least once, even if you ultimately decide to buy the shoes you like elsewhere at another store or online. Their pricing can be a bit high depending on the shoe, and their colors can be limited in size and style. I have purchased from them a few times and was happy with my purchases each time, but I’ve also found better deals and shoes that fit me well online (I usually need wide-width, which often limits me in-store). If you decide to go the online route, you may want to try Zappos or ShoeBuy, as they offer free returns/exchanges, so you can try them on for the best fit. I hope this helps as a starting point with your newly-acquired mindfulness about the applicable details of wearing fitness footwear.